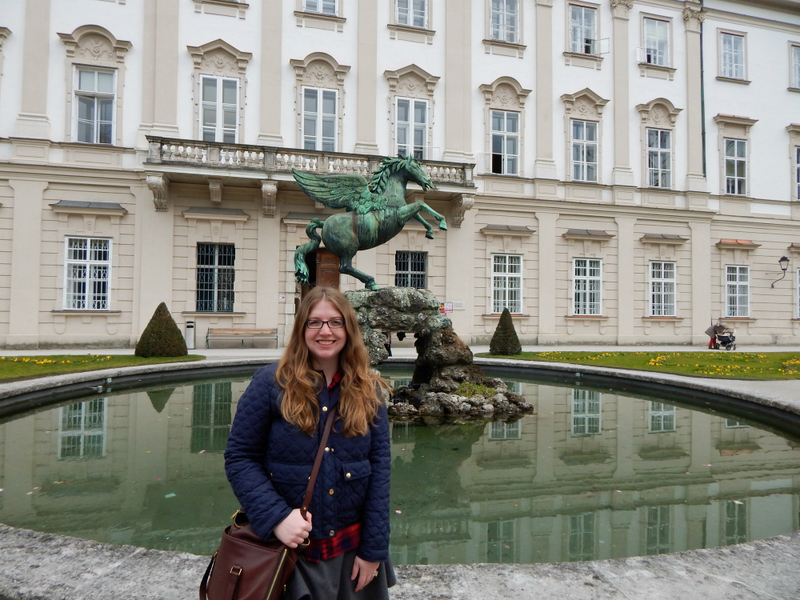 Our last stop on our 2015 Europe trip was Salzburg, Austria. 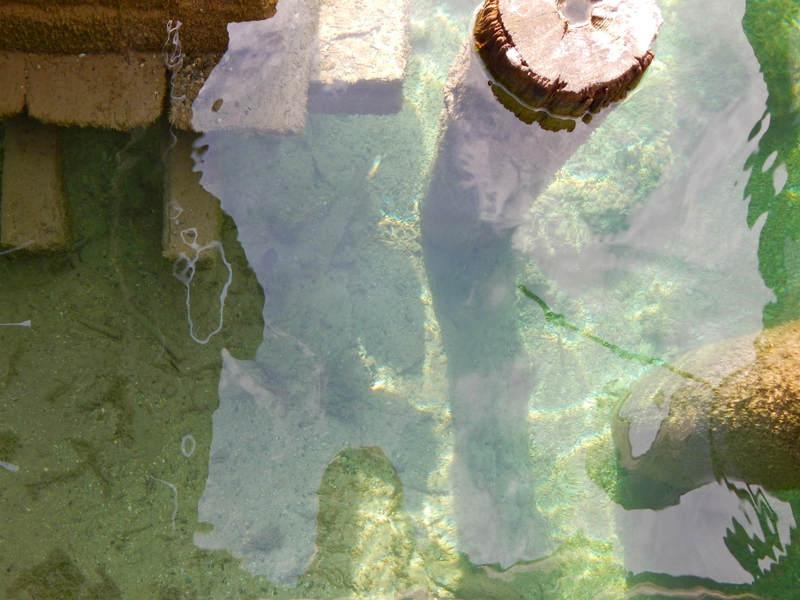 We had a bit of trouble leaving Venice as we could not find an operational station to buy tickets for the public ferry. After multiple attempts, we decided to try buying one on the boat and were successful. 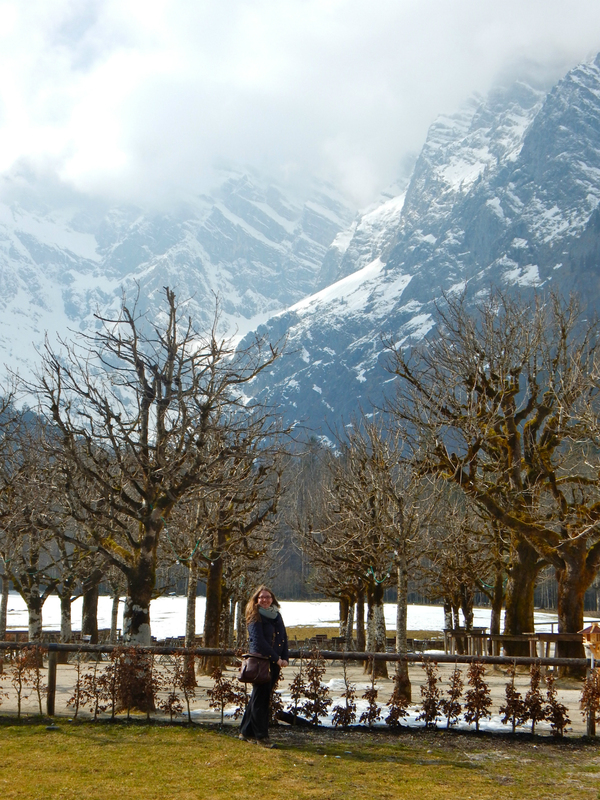 Our 5-hour drive to Salzburg took us through 27 tunnels. 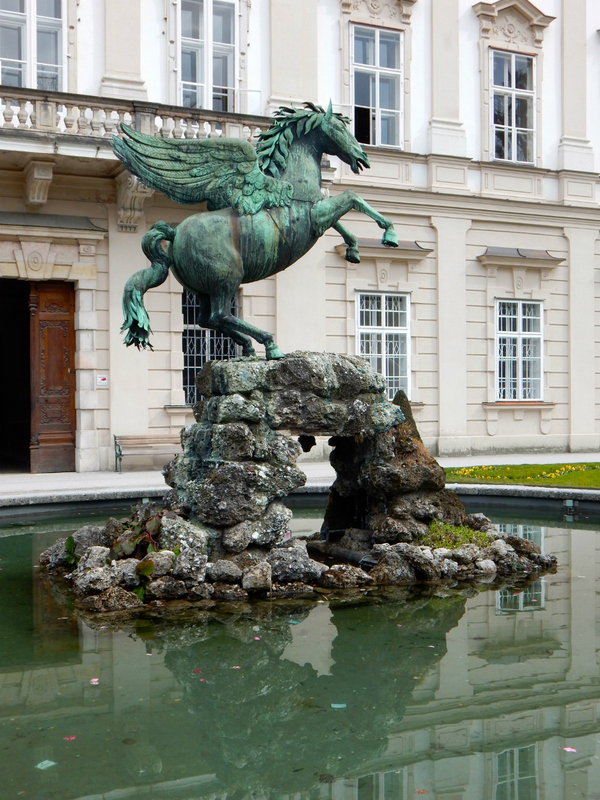 Our first stop in Salzburg was the Mirabell Gardens, which are filled with fantastic sculptures, from a pegasus to strangely mournful lions to mysterious faces in the walls. 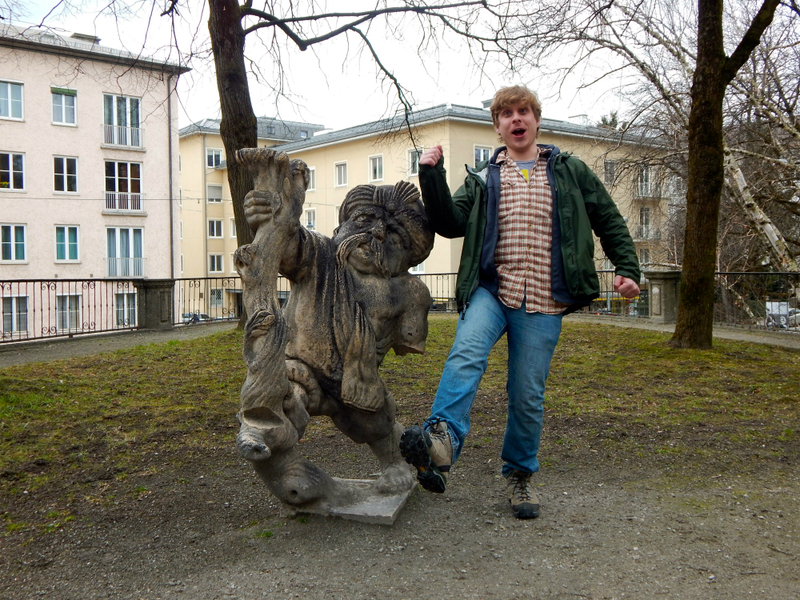 Our favorite section was the dwarf garden, a circle of incredibly lifelike sculptures of little people. 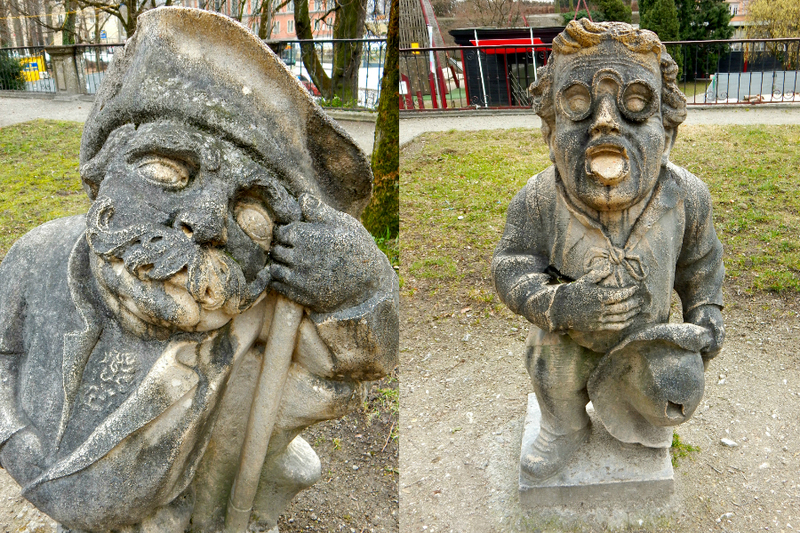 A little research revealed that these sculptures are based on real people who lived in the 18th century Austrian court. 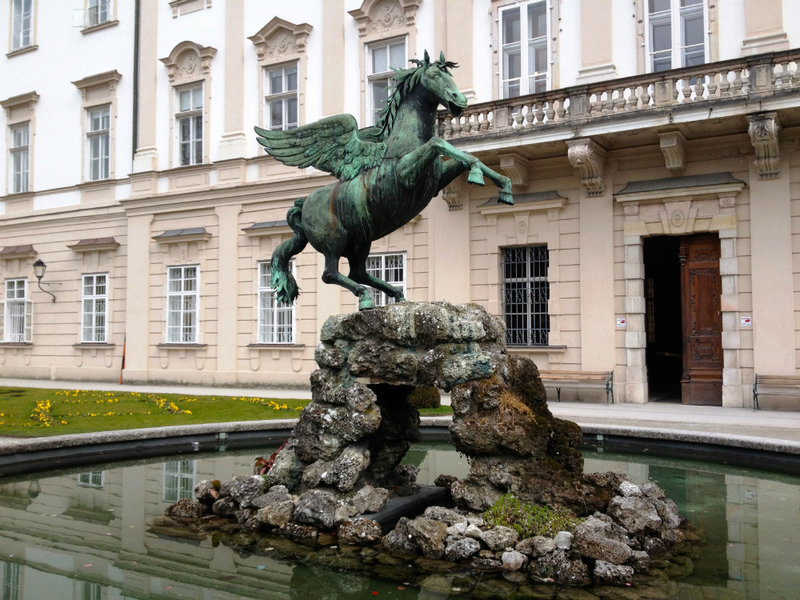 The sculptures were auctioned off at one point, but the Austrian government tracked as many as they could down in the 1920s and reinstated them in the gardens. 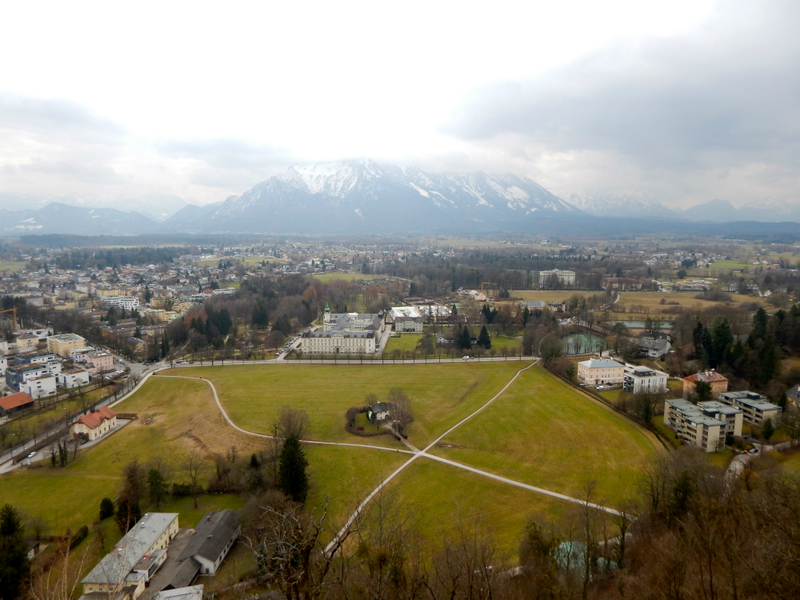 Our next stop was the Hohesalzburg Castle, which offers views of the city and surrounding hills. 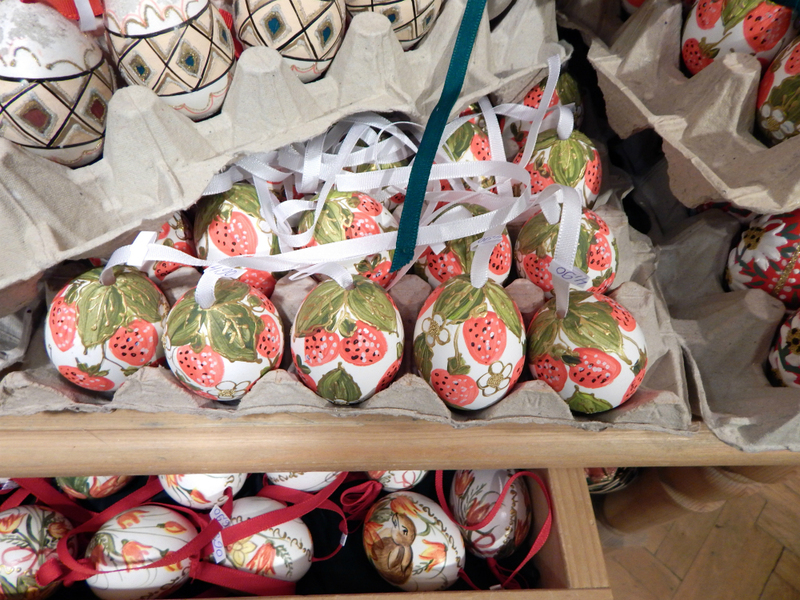 My favorite find in Salzburg was a shop entirely filled with blown painted eggs. 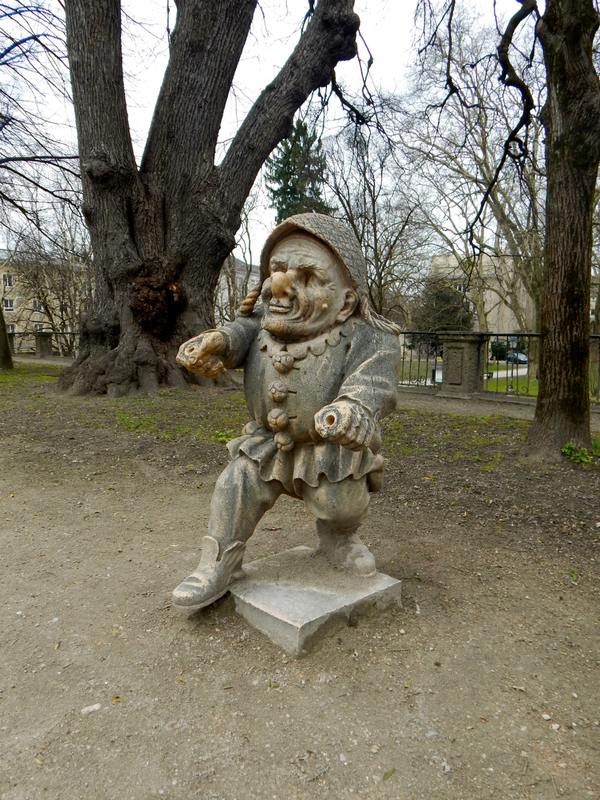 I bought a few to use as Christmas ornaments. 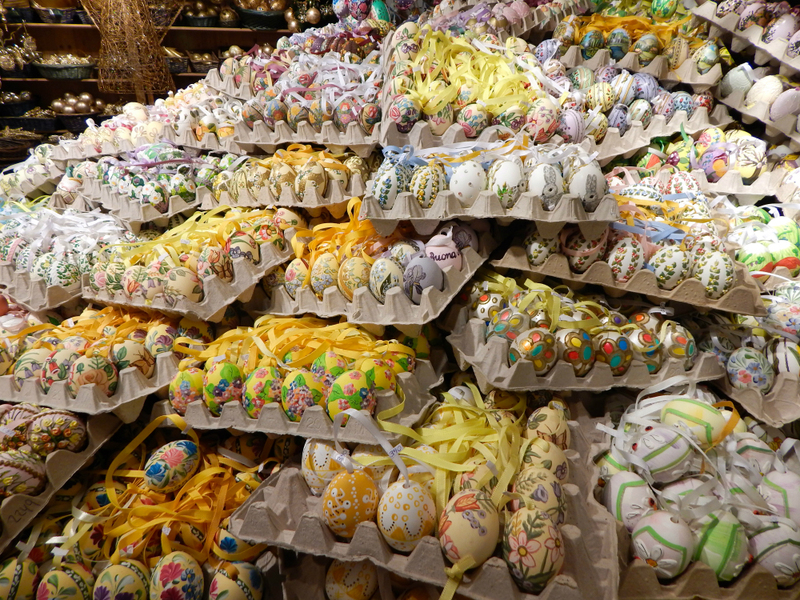 Since it was near Easter, painted eggs were everywhere—you can even buy dyed hard-boiled eggs in the farmer’s market. 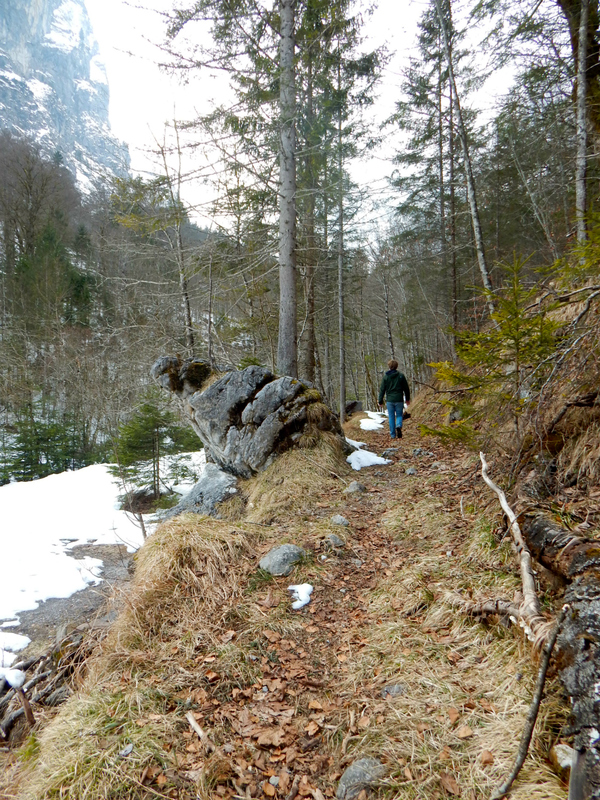 Andrew, not realizing the Easter connection, wondered why Austrians seemed to like eggs and rabbits so much. 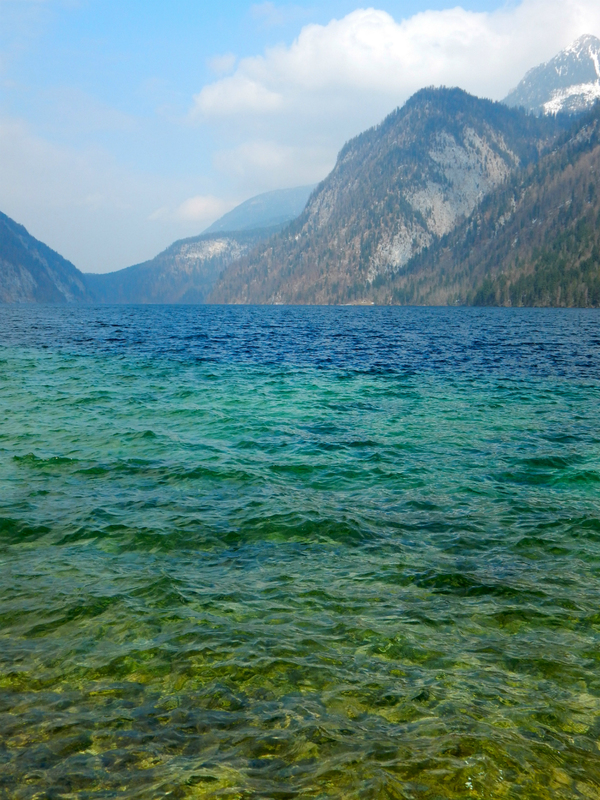 On the drive back to Munich, we made a stop at the Konigsee, a crystal-clear mountain lake. 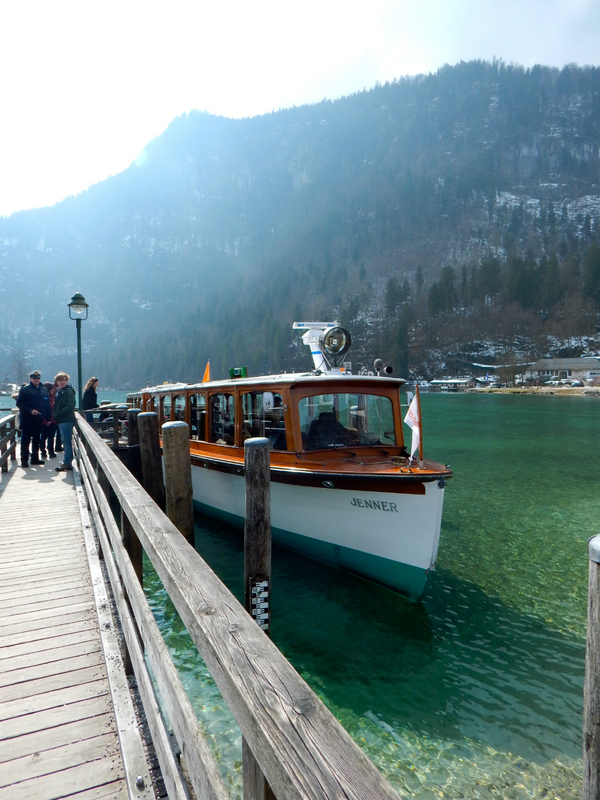 We took a boat ride out onto the lake and were dropped off on an island to explore for an hour or so. 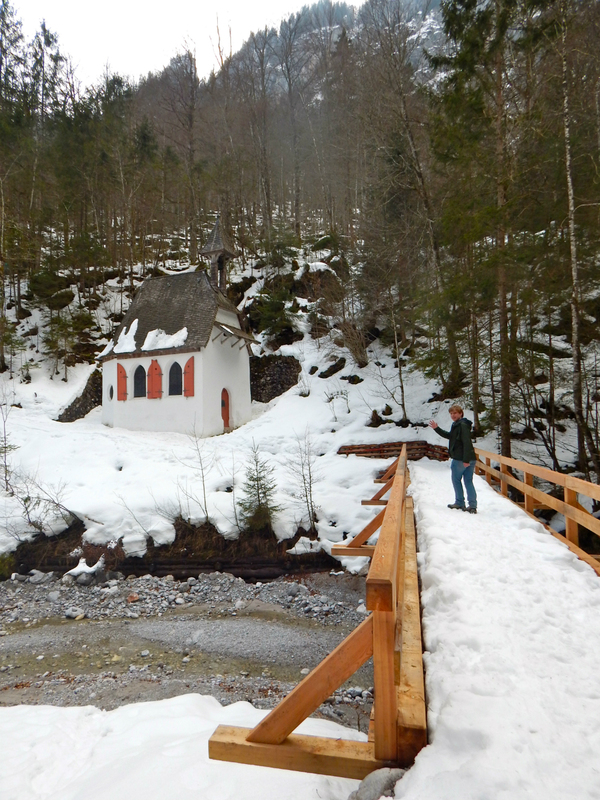 We hiked through the snow to a small chapel in the woods and found some of the first flowers of spring along the way. 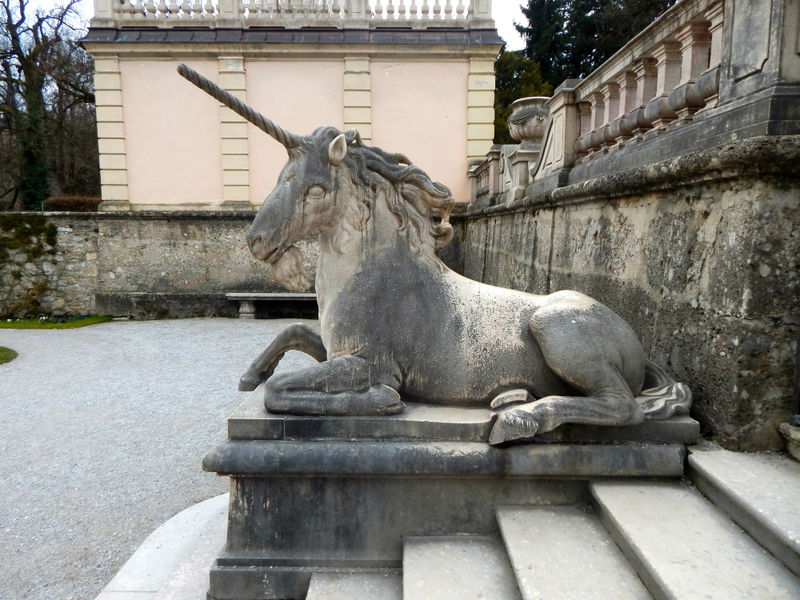 Here’s our 8-day itinerary in Europe: 2 days in Munich, 2 days in Garmisch-Partenkirchen, 2 days in Venice, 2 days in Salzburg—click to read what we did, where we stayed and what we ate at each stop.